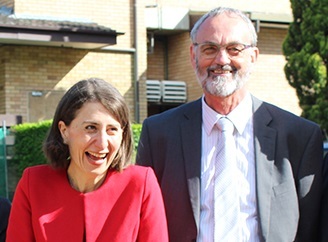 For the last three years I have found myself completely enmeshed in the process which has now seen Amélie Housing, the community housing company of the Trustees of the Society of St Vincent de Paul (NSW), become a successful partner in the NSW Government’s Social and Affordable Housing Fund (SAHF). Our success is the culmination of years of advocacy, meetings, and public support for a real commitment to housing people experiencing disadvantage in our society. This fund will also assist those on low incomes who are finding it harder and harder to keep a roof over their heads. Under the SAHF, Amélie Housing will be able to build 305 new properties and acquire 195 properties across the state. There will be a mix of social (70 per cent) and affordable (30 per cent) dwellings with quality, wrap-around support services. These services offer the holistic approach needed to help those going through tough times, get back on their feet. The new properties will be built to 7-star energy efficiency ratings, helping keep utility costs down for residents while also reducing environmental impacts–a win-win situation. We’re seeing more and more reports of how unaffordable housing is becoming. And we know that the demand for our services is growing as Vinnies members, volunteers and staff work hard to support those in need. This Fund will help us to provide more housing and is a major step towards housing security for people across the state. The opportunities now opening up for our Society and those we assist are huge. At a personal level, this is something I have been advocating for, and working toward, for many years. The Society has been a part of my life for the last 43 years. I have served on every level–from local Conference to the International Council–so I know firsthand how important this project is to our Society and the people we serve. Our partnership is the culmination of what our members, volunteers and employees have been doing across the state for many decades–supporting residents to connect with local communities and assisting them, using established case management capabilities and other support networks within the Society. This was recognised by the Amélie Housing Board and our Trustees who gave their full endorsement for this initiative because it aligns perfectly with our long term vision. They have allocated an investment of substantial funds and land into the program. Over the next decade our goal is to make Amélie Housing one of Australia’s leading Community Housing Providers, recognised nationally for our capacity to deliver good housing outcomes to disadvantaged members of our community in the areas of most need.